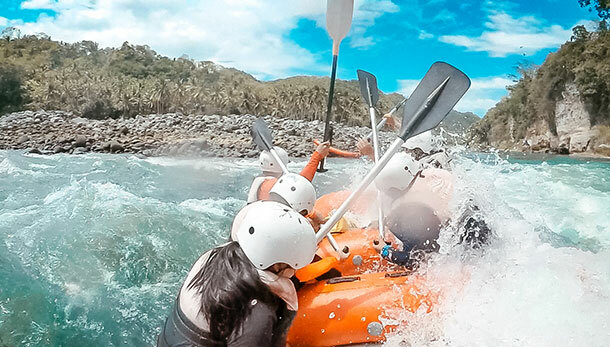 A trip to Misamis Oriental in the Philippines is never complete without trying the Whitewater Rafting in Cagayan De Oro (CDO). 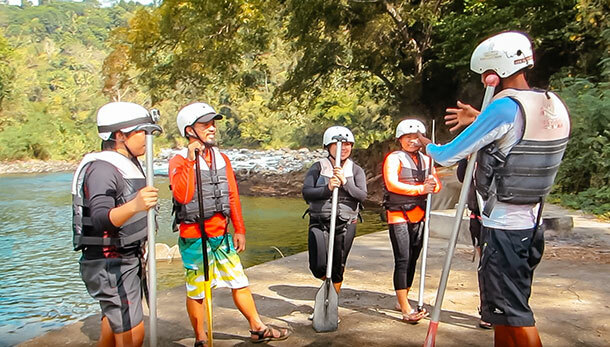 We ended our 5-day adventure in Cagayan de Oro with one of the highlights of our trip: the Whitewater Rafting. It was an experience that, well… maybe I went a bit overboard with my crazy imagination, but definitely a great experience nonetheless. Well, you could say that the activity was planned and prepared for three (3) years. This was how long we have been talking about this particular adventure. But you know how it gets when you travel with friends. 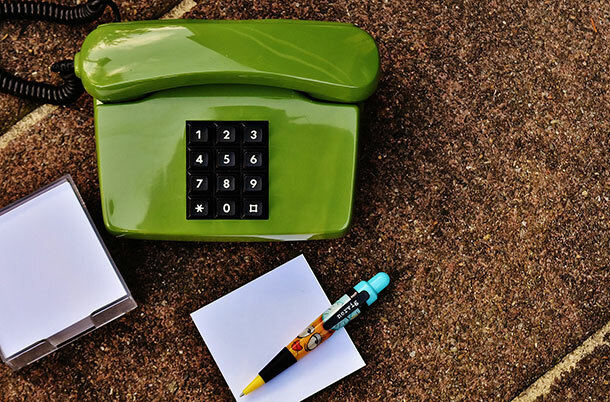 You always plan everything out, including dates when everyone or the majority is available. 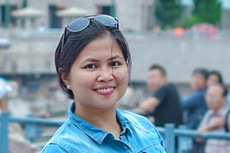 You watch out for cheap plane tickets and of course, check out the season (rainy season or summer) when you are going to go. If ever you find yourself in CDO and would like a combination of relaxation and adventure, whitewater rafting is a good activity. Here’s how to avail and what to expect! Do I need to know how to swim to try this? What are the levels of Whitewater Rafting? 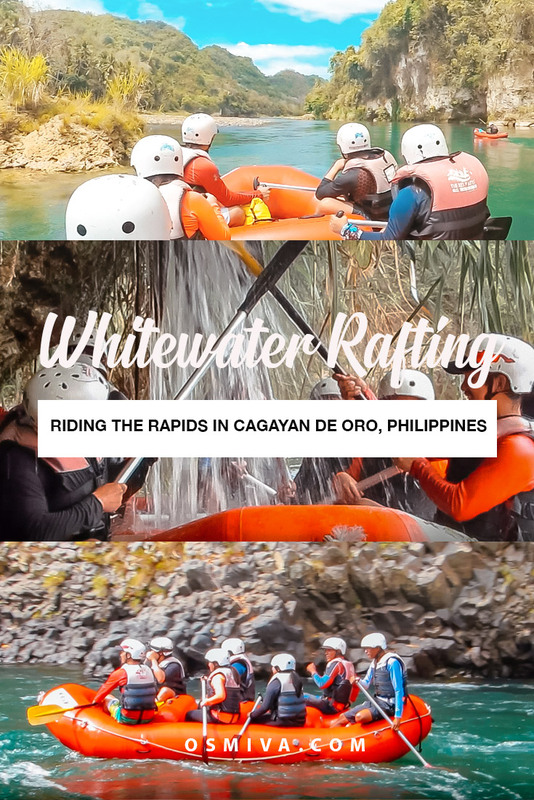 When is the best time to try the Whitewater Rafting in CDO? What should I wear to go Whitewater Rafting? 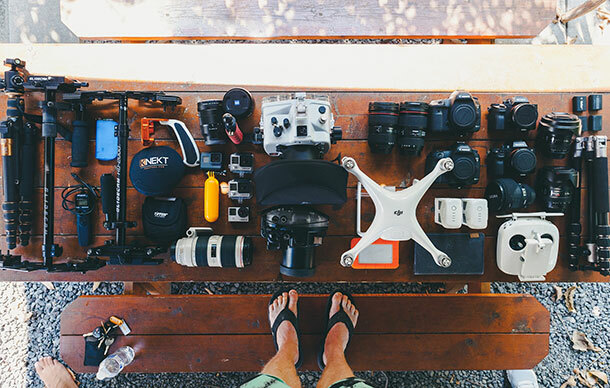 Can I bring my gadgets with me while doing the Whitewater rafting activity? What should I bring while doing the Whitewater rafting? 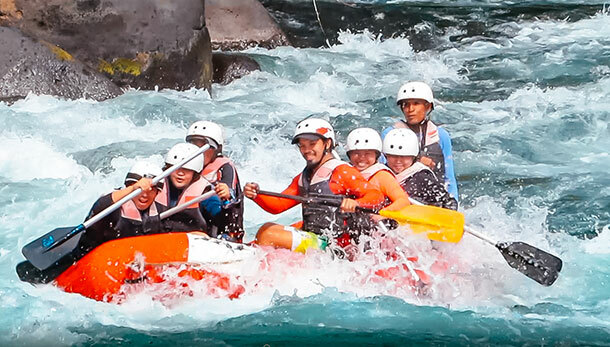 There are several Whitewater Rafting Tours in CDO that you can choose from to take you. Like most guided tours, pre-booking is a must since there are no offices at the starting point. 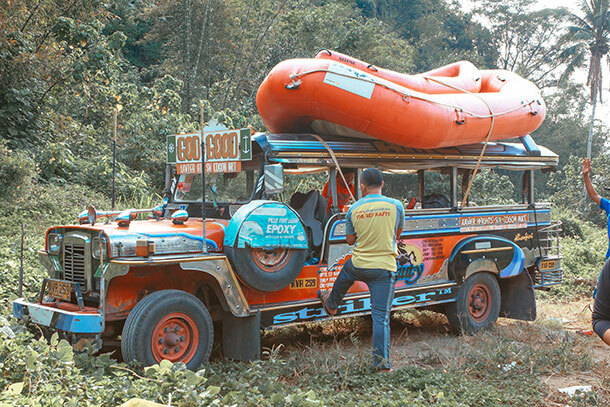 Most tour guides will pick you up at a certain pick-up and drop off points in the city then take you to the starting point of the rafting adventure. Please take note that the starting point for the three different levels of whitewater rafting is different. Other Whitewater Rafting Agencies include Great Whitewater Tours, Kagay Whitewater Rafting and CDO Bugsay River Rafting. Make sure to double check if downpayment is required for the reservations. Whitewater Rafting Rates differs depending on the level of rapids you are going to try. And also, depending on the inclusions you want to add. There is a minimum of 4 persons in order to avail. There were five of us, so we were good to go. But, after much discussion, consultation and clarification with our guide and a bit of prodding and convincing, we all decided to take the Advance Course instead. 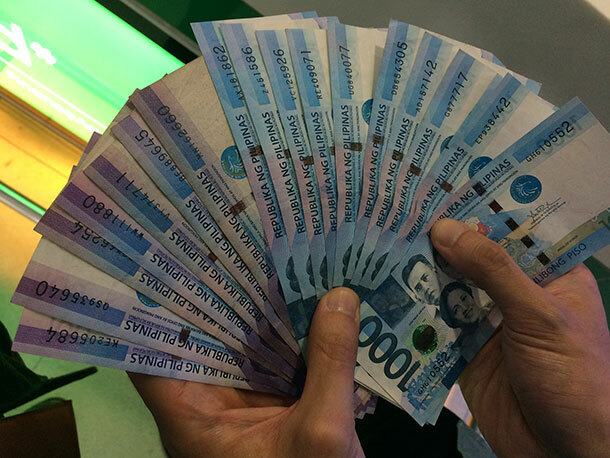 The Advance Course was at 1,800 Php per head, so we added 600 Php on the initial amount we paid. We also added 200 Php per head for lunch right after the activity. 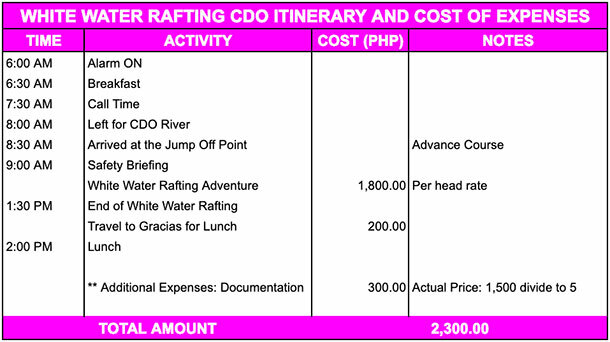 Plus a documentation fee of 1,500 Php for videos and photos of us navigating the rapids. Total amount paid was approximately 2300 Php per head (there were 5 of us in the group). 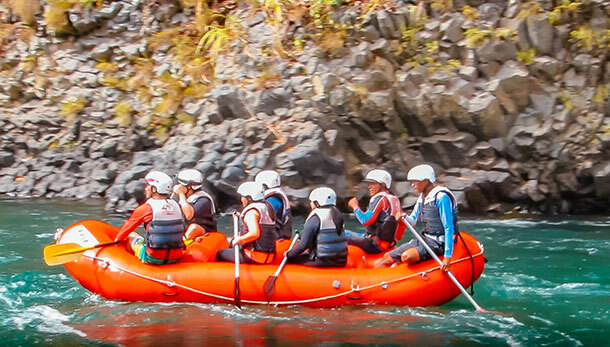 Most tour providers will offer transport from Cagayan de Oro City to the jump-off point of the Whitewater rafting. Our transport was a private jeep who picked us up at the hotel at around 7:30 AM. The raft that we were going to use as well as the protective gear was also with us on the jeep. When we were ready, we were then taken to the mountainous area of the city. We passed by several stopovers first before arriving at our destination. It took us around 30 minutes until we reached the jump-off point. By 9 AM, we were already preparing for the safety briefing and the activity. To give you a brief overview of our activity, below is a sample of our itinerary as well as the costs. Well, there are of course risks, but the activity as a whole is safe. You will be with experienced guides all throughout so you are in capable hands. There is a safety briefing before the activity, so it is important that you pay close attention. If the information is too much to handle (I for one gets too anxious sometimes to remember everything the first time), just remember to follow directions. ‘Paddle Up‘, ‘Paddle Right‘, ‘Paddle Left‘, ‘Forward‘, ‘Backward‘, ‘Stop‘ and ‘High-Five‘ were the basic instructions you’ll need to remember all throughout. There is always the possibility of the raft capsizing especially if you are going through the technical rapids and major rapids. Or when the water level is high. When it comes to that, remember not to panic and pay attention to the guide. Strong paddlers are usually placed on the front of the raft. While the guide(s) will stay at the back to maneuver the raft if needed. Sometimes the person at the front won’t be able to hear the main guide’s voice during the activity, so personally, I recommend for people at the center to repeat the instructions. The Whitewater Rafting Adventure requires teamwork, so it’s important that you work together as a team. You don’t have to be a swimmer to try the course especially for the Beginners and the Advance level. Though of course, being able to pull yourself up is an advantage. You’ll be wearing life vests all throughout so drowning is unlikely. Just remember to wear it properly and listen to the instructions during the briefing (especially on cases of boat capsizing) and during the activity. There are 3 different levels to choose from Beginner, Advance, and Extreme. The difference between the three is the number of rapids you are going to try. Among the three, we did not see or try the Extreme level. As per our guide, they have a different route than the Beginners and Advance Course. The Beginners Course only have 14 rapids in total. While the Advance Course is much longer and has a total of 22 rapids in all. This includes some major rapids, minor rapids, and technical rapids. If you decide to try the Advanced Course, you will still be able to try the Beginner’s Course because it’s the same river route. Basically, the time will depend on your pace and the current. Most will take between 3-4 hours. Ours was a total of 4 hours wherein we started at 9 AM and ended the activity by 1:30 PM. Don’t worry though, you wouldn’t notice the time when you are already there! Well, there is no real ‘best time’ as it would depend mostly on what type of adventure-seeker you are. Expect fast rapids and high water level during the rainy season – which can be what most thrill-seeker will love. But for most, the best time will be close to summertime (February to May) as the weather is friendlier. Personally, I’d recommend the months from February to March as there’ll be fewer people. As per our guide, sometimes there are raft ‘traffic’ during summertime as people are more inclined to travel when school is out. We went there in February and we were basically the only group in the river. Talk about an exclusive adventure! While doing the activity, expect to get wet all throughout. Hence, wear quick-dry clothes or your swimming attire. But I am not talking about beach wear like bikinis. Rather, wear a rash guard to protect you from the sun as it can get pretty hot especially during summer. Although if bikinis are your thing, then go ahead. You’ll be wearing life vests over that so it is still up to you. For footwear, wear something with straps to ensure that they will not fall off over the course of the activity. My husband and I were only wearing our flip flops so we left it with the rest of the things in the jeep (service vehicle) and went barefoot. There are certain areas in the raft where you can ‘hold on’ or fit your foot in to prevent from slipping and stabilize you. Be sure to find that once you board the raft. Yes, you can definitely can, but at your own risk of course. As mentioned above, one of our companions brought his DSLR camera and placed it on a dry bag. You can do the same but secure it properly. The guides won’t be able to fetch it for you if it falls down while navigating the rapids. We also brought our GoPro with us the entire time. But we secured it with a head strap camera mount and made sure that the GoPro case is secured properly. Before starting the adventure, be sure to secure all your things with you. If possible, bring less. We had all our things with us when we went to the starting point. We were supposed to transfer to our new accommodation in CDO after so we were lugging everything we had. Thankfully, we were used to backpacking and have packed light for this trip. The tour guide allowed us to leave all our things behind at the jeepney (which was our service vehicle) while we took on the challenge. One of our companions brought with him a dry bag. This was to carry some personal belongings including a camera for his personal documentation. Fortunately, all things were intact after the activity and nothing got wet. But this is not advisable if the rapids are too strong or if you are doing the extreme challenge. Personally, I find the experience a combination of a relaxing and adrenaline-pumping adventure. I was actually expecting a long and tedious paddling activity. But it wasn’t. Far from it. You’ll be navigating the Cagayan de Oro River where you are between the borders of Cagayan de Oro and Bukidnon. It’s actually pretty cool when you think about it. As mentioned, there are 22 rapids in total for the Advance Course, but they are spaced out along the river. There are moments of true exhilaration and moments of complete and utter silence with Mother Nature alone. The rapids are classified according to the level of current and danger. During the Advance Course, we have encountered some technical rapids, minor rapids, and major rapids. They were manageable, though there were times we’d get stuck on the rocks. Our guide had to get out of the raft to push us out. I think as long as everyone contributes and follows instructions, accidents can be prevented. This is also applicable for incidents of raft capsizing during the course. We were allowed to swim in two areas along the route. Here, the river opened up to a pool-like area. It was cold and felt great on the body. Personally, I was getting stiff on the raft, handling the paddle closely and sitting up. Jumping into the water was a great relief. We only swam in the first area though as we felt it was enough on the first one. One of the great things, for me personally, about the activity were the guides who were with us. We had two guides and they were both professional and entertaining. They made the sight-seeing (especially when we were just gliding along the river) fun and amusing. They also had some witty remarks and really funny narratives of the places we were passing by. The activity was not what I expected at all. To be honest I was expecting more screaming and nerve-wracking moments. Thankfully it was rather tame than what I was anticipating. I guess it was because of the season and the water level. Nevertheless, it was a fun experience: a balance between an adventure and a relaxing commune with nature. How about you? Would you love to try this adventure? We love white water rafting and have done some pretty extreme courses in a few places around the world. We didn’t get to do any in the Philippines as we didn’t realise there was any!! We’ll be returning next year so we might check this out as it seems like good fun! Seems like you had a great time! The river water is such a precious shade of jade! White water rafting looks fun and I’d love to try it. Thanks for the detailed guide. Yes, we did.. 🙂 Thanks! WOW! This seems like a fun adventure! 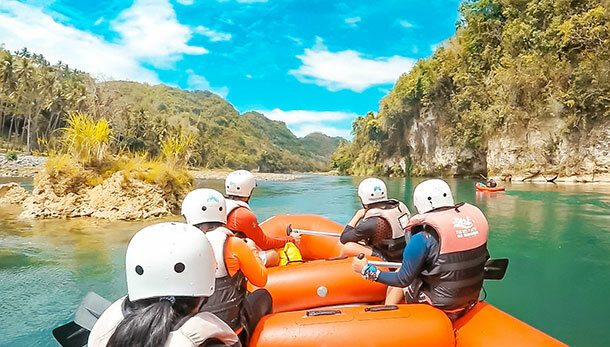 We didn’t know you could also do white water rafting in the Philippines! So cool! We’d like to visit your country someday, and when we do maybe we’ll try this. Although not sure if we would dare.. haha! LOL.. I’m sure you’ll both love it! Haha wish I had read this before my first trip river rafting! Thanks so much for sharing your experience, this is excellent. Of course doing it in Cagayan De Oro is wayyy better than the Potomac River! Have always loved white water rafting and have done a lot of it all over the world … including Class V. Without adding to anyone’s fear level, even with a lifejacket, it is very possible to drown if things go wrong (getting sucked into a keeper hole, held under a branch or rock, or getting trapped under the raft itself) which is all the more reason to go with a very reputable outfit and have a skilled guide. Sounds like you had a fun adventure, and that is all that matters. Thanks for such a descriptive guide, especially for someone like me who has never whitewater rafted. Getting a kayak to obey my commands is sometimes a challenge, but it’s good to know you have guides and that they position people in the boat with strength and ability in mind. I might just venture out someday and do this. It would be fun to plan that kind of trip with good friends. I believe you have chosen well between Beginner, Advance, and Extreme Course. Probably if I had been you, I would have chosen the Advance Course as well. A combo of relaxation and adventure is always a good idea! Nothing too crazy, and nothing dull! I didn’t know that you could do rafting in the Philippines. I guess I always thought it was either beaches or cities. Ha ha! 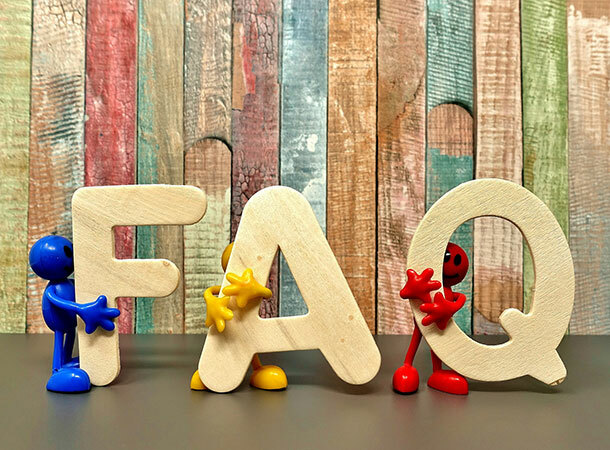 Do you know if any of these are kid friendly? I’m curious as to what class the rapids are for the extreme whitewater offerings? Did you happen to do them or know? I’m from West Virginia and it always thrills me to compare our WW market to those around the world. This is such a comprehensive guide! I’ve honestly never considered whitewater rafting because I’m not really an adrenaline junkie and I can’t swim exactly. Good to know that it’s safe though and that you don’t necessarily need to know how to swim. Plus, experienced guides will be accompanying you! Reading this has definitely changed my mind and I think I’d love to give it a try!